In his opening remarks, Mr Lukšić spoke about the Government’s main priorities in attracting foreign business, such as improving the macro-economic indicators and institutional stability and introducing structural reforms and entrepreneurial education. Mr Whitting emphasised the importance of the Forum for linking up British and Montenegrin knowledge and experience in attracting more UK businesses to Montenegro. Panel 1 (Business Environment in Montenegro) discussed legislation and administrative procedures and the ways to improve them in order to boost FDI and entrepreneurship in the country. It was noted that Montenegro needs long-term urban planning, improved rule of law and judicial efficiency, and better cooperation between central and local governments. Panellists were Bojana Bošković, Secretary of the Council for Improvement of Business Environment, Regulatory, and Structural Reforms, Montenegro, Rachel Holloway, Assistant Director at Better Regulation Delivery Office, Department for Business, Innovation & Skills, United Kingdom, and Vesna Daković, Economic Advisor at Montenegro Business Alliance. Panel 2 (Challenges and Business Success Stories) presented some notable British and international business success stories in Montenegro and the incentives and challenges they have faced along the road. Panel speakers gave their view on the business environment, quality, and productivity of the labour force, emphasising the need for better educational system. They concluded that the main underlying problems for investors are the questions of stability of law. Panellists were Larry Bartel, Headmaster of Knightsbridge International School Montenegro, Branislav Simović, General Manager of Mace Montenegro, and Tony Browne, Marina Director at Porto Montenegro. Panel 3 (Regional Business Synergies) addressed the potential of regional business cooperation and possibilities of attracting UK investment in light of the EBRD conference in London in May 2016. Several most attractive industries were identified, such as local agriculture, sustainable energy production, SMEs, and tourism. Lessons were shared about UK communication campaigns aimed at boosting visibility and the region’s comparative advantages such as cheaper and skilled labour force. Speakers were Giulio Moreno, Head of EBRD Montenegro, Tricia Quiller-Croasdell, Head of Campaigns at Prime Minister\\\'s Office, UK Government, Ivan Saveljić, Vice President at the Chamber of Economy Montenegro, and Ružica Jajčević, Project Manager at the British Business Centre Croatia (BBCC). The Montenegro-UK Chevening Business Forum 2016 was organised by the UK Alumni Association of Montenegro (MAUK) with the help of the UK Embassy Podgorica and the Chevening Foundation. 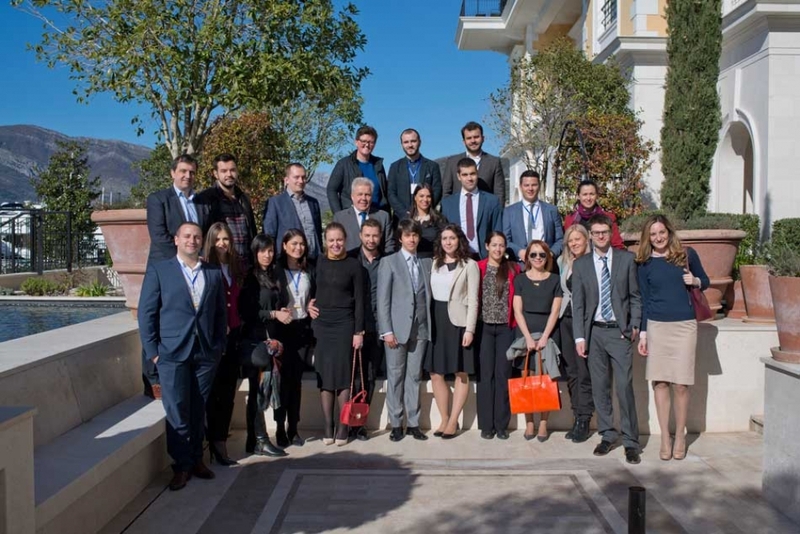 MAUK is a non-profit organisation of Montenegrin professionals with UK higher education degrees which runs projects aimed at boosting Montenegro-UK relations and exchange in education, culture, and business.